When summer rolls around to the Big Easy – locals know what to do. Find some shade, a swimming pool, or maybe just your favorite watering hole…anywhere with air conditioning will do to escape the heat. But your roof doesn’t have this luxury, and must stand up to the brutal sun and heat no matter what the temperature. This is why roof problems are not always caused exclusively by spring thunderstorms or winter snowstorms. 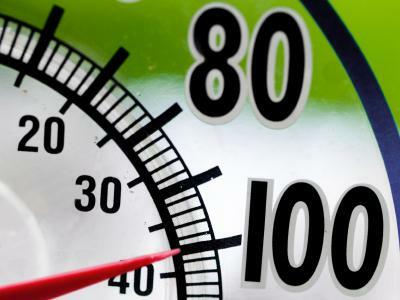 The hot summer months can cause significant damage to rooftops as well, and as all of us know who live in metro New Orleans – summers are just plain HOT! The summer months can produce weather elements that wear down your roof through extremely high temperatures, accompanied by summer showers. If summer roof damage is not addressed appropriately, this damage could greatly exacerbate damaged caused by future thunderstorms, hurricanes or even the occasional frost buildup in the winter that we get even here in metro New Orleans. During the summer when it’s 95 degrees outside, the roof is especially vulnerable because the attic can reach extremely high temperatures. If this attic heat is not properly ventilated, the result can be moisture build up and condensation. This condensation can cause moisture to build up with in the insulation and roofing materials, causing rot, mold, and additional damage to the structure. These problems can be combated with the use of proper venting to allow any moisture to be exhausted from the attic area. Things like louvers & vents, whirly birds and attic fans all help. Another way to keep moisture from affecting the integrity of the roof and insulation is through the proper installment of a ceiling vapor barrier. If roof damage has already been caused by excessive heat and condensation, it is not enough to simply add ventilation and vapor barriers without first repairing the existing roof damage. As local, New Orleans roofing contractors (link to home page) we know how to repair roofs that have been damaged by the intense summer heat. This is accomplished by removing the old roofing materials until all damage, rot, or mold has been completely eradicated. We can then install roofing materials that can more easily withstand the hot summer months. In many cases, old tar and gravel roofs are replaced with a modified bitumen roof. By keeping your roof in good condition, using the right roofing materials, you can not only keep your home or business safer during the summer months, but you can also keep it cooler and more energy efficient a the same time. If the roof and attic use modern and innovative assemblies, the roofing materials along with proper ventilation and insulation, allow the attic space to remain cooler than it would be with an older damaged roof.